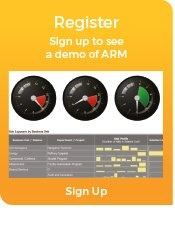 true Enterprise-wide Risk Management with ARM. An international leader in the provision of essential industrial services focused on agriculture and engineering, Carr’s Group has been listed on the London Stock Exchange since 1972. The group is at the forefront of innovation and technology, providing a range of products and services to agriculture including country retail stores, one-stop shopping for farmers, and animal feed in the UK, USA and Germany. Its engineering division, based in the UK and Germany, manufactures bespoke equipment for use in the nuclear research, nuclear, oil and gas, petrochemical, pharmaceutical and commercial vehicle industries, which is distributed worldwide. ARM is currently being used extensively by the Risk team and the Finance team. In addition, quarterly risk meetings are held with MDs, FDs and business managers around the group to strategically evaluate risks, update risk registers, score risks and to monitor mitigating actions. Risk scores are recorded at divisional level and then converted up to corporate risk scores depending on the type and size of the risk, and the size of the division. For example, a risk may be high scoring at divisional level,particularly when related to financial metrics and profitability. However, if it is a small division, that same risk will be relatively low scoring when taken in the context of the group as a whole, depending on the financial significance. ARM manages this conversion process automatically by applying a corporate scoring matrix through the use of filters. This makes consolidating risks from the different business units into one group-wide risk register much quicker and more accurate. Since implementing ARM for enterprise-wide risk management, Carr’s Group has seen many benefits. Most importantly, the superior reporting capabilities in ARM had enabled better Board reporting, resulting in better engagement with the Board. Quarterly risk meetings with managers are now much quicker and more productive, however, going forward Neil Austin would like all risk owners across the business to use Risk Express, ARM’s highly intuitive interface designed for business users. He expanded; “Once we have Risk Express rolled out across the business we will be able to bring health and safety and environmental issues into the incident management process, and link them back to risk. “There is still work to be done, for example, we need to link risk more closely to our assurance mechanisms, however, compared with where we were before we had ARM, the project is going very well, and, once all the processes are set up, we will save a lot of time. ARM enables us to manage the entire risk process across the group more effectively and more efficiently,” he concluded. Download the Carr's Group Case Study! It was all about the reporting and visualizing of information” he explains, “ARM holds the data centrally, it’s easy to update, you don’t have to worry about version control, it’s always live and up to date, and you can report on it in many different ways. ARM did what we wanted, and was well priced.